A happy retirement does not happen in an instant. Not every retiree may enjoy their retirement years at all. 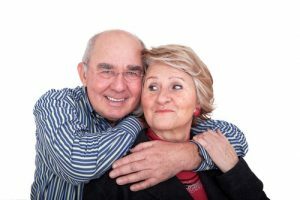 While this stage in life is inevitable, people can choose to prepare for it in order to ensure a happy retirement. Here are some tips to consider to have a happy one after your working years are over. Let go of things you don’t enjoy doing. Your happiness is based on your ability to enjoy what you do. This is more true during your retirement. The only way you can enjoy and be happy when you retire is if you enjoy the experience. If you’re retirement is well-planned, then you also have the luxury of choosing what you’ll wish to do. One thing to consider is try to let go of those things that you do not wish to do by the time you retire. Just focus on the things that you enjoy doing and you’ll be happy. Go easy on obligations and commitments you don’t like. If you plan to continue to engage in work when you retire, make sure that you do it because you like to. Avoid trying to commit into doing those things you never liked doing. Do not be forced into taking commitments for any other reason. You have a choice now to be happy, so make it worthwhile. Keep loved ones within arm’s reach. One way you can spend a happy retirement is by spending it surrounded with loved ones. It can get pretty lonely during retirement. So make sure that you have some company with you whom you can still share happy moments or experiences with. That is a good way to ensure that you will have a happy retirement.